My current guilty pleasure is ABC's hot ticket, How to Get Away with Murder. Now enjoying a sizzling second season, HTGAWM's pilot episode in 2014 looked to be another ho-hum mystery show with an ensemble cast of "Who?". The only name that I recognized was Viola Davis. 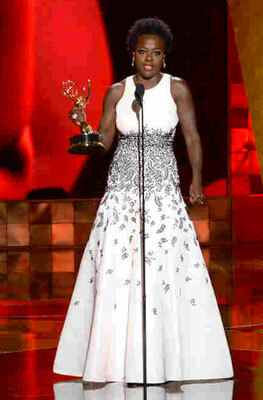 Again - Viola Davis. That's all I needed to know. I felt sure that Ms. Davis, a Juilliard thespian, would not lend her name to any second-rate television venture. And. I. Was. Right. The fast paced show, filled with twists and turns and snarky talk, helped to make this reviewer a devoted fan. However, everything stops when Viola Davis is in the room. Scraping up through the acting ranks since 1996, her acting skills sparkle in every line that she delivers with the precision of a surgeon. For anyone who's missed what is known as "the mirror scene", catch it here for a truly unforgettable micro-performance, one that is reminiscent of Glenn Close's masterful mirror scene in Dangerous Liaisons. A veteran of two Tony awards, an Emmy, a SAG, an Obie and several Academy Award nominations, Viola Davis promises to join the ranks of the iconic stars, like Joan Crawford, whose emotive qualities and experience reflected women's pain and angst back to millions of female audences. Davis' brand of suffering brings to mind the classical 1940s period in women's films, where strong women made the pie and then took a large slice of it for themselves. And her assertive views on acting in today's Hollywood raises the stakes for all actresses, encouraging them to push out of their comfort zones and extend their power beyond the two-dimensional "wait and see" approach, both in front of and behind the camera. Beauty. That's the perfect descriptor for the experience of watching Viola Davis, both on the deceptively small screen and in her film work. 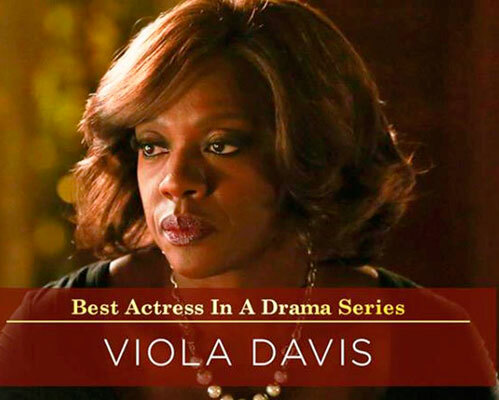 Like my firm conviction about HTGAWM, I am just as certain that one day - soon - Viola Davis will float across the stage and accept her first Academy Award.